Today, at least 1 in 3 pregnancies in Broward County ends in abortion and in the U.S.
We know that there is much more work for Hope Women’s Centers to do. We know that if no one stands for life, the voices of those profiting from abortions in our country will continue to get louder and more attractive, especially to those women in unplanned pregnancies who do not want to be pregnant. Our current medical centers are strategically positioned in the major pockets of Broward County (see map), to serve women and men that find themselves in unplanned pregnancies. Over 50% of our patients are between 15-24 years old and they are often unaware of their options, fearful of losing relationships in their life if they parent their child, and need a confidential place to get answers. 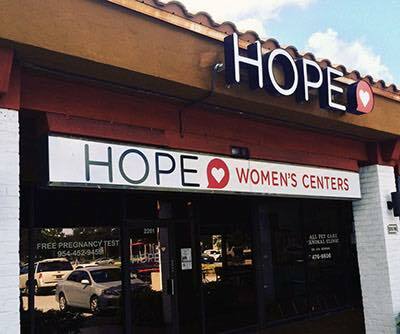 Hope Women’s Centers partners with over 45 churches and hundreds of individuals and businesses in Broward to meet the needs of women and men who come to Hope for help everyday. 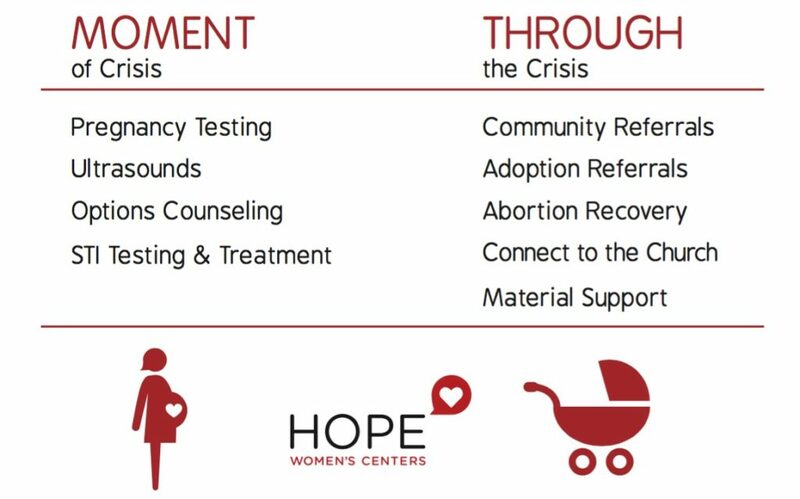 Our mission is clear: Hope Women’s Centers exists to encourage and equip women and men to make informed decisions regarding unplanned pregnancies. We believe that as we share the love of God in word and deed, abortion will no longer be chosen in our community. Our Core Values are our guide to successfully offering our services to patients. As we celebrated our 30th anniversary (January 17, 2017) of serving women and men in Broward County, we lean heavily on these principles as we continue to serve our patients and plan for the next 30+ years! As we offer Hope, share truth, and protect life; we are making a difference in this generation and generations to come! Partner with Hope and make a difference for life!